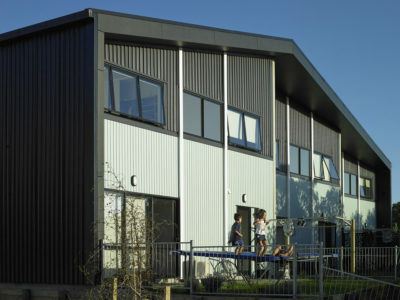 Ngāti Whātua O Ōrākei’s ‘Kāinga Tuatahi’ is a 30 house medium density village with a strong emphasis on community, cultural values and landscape. 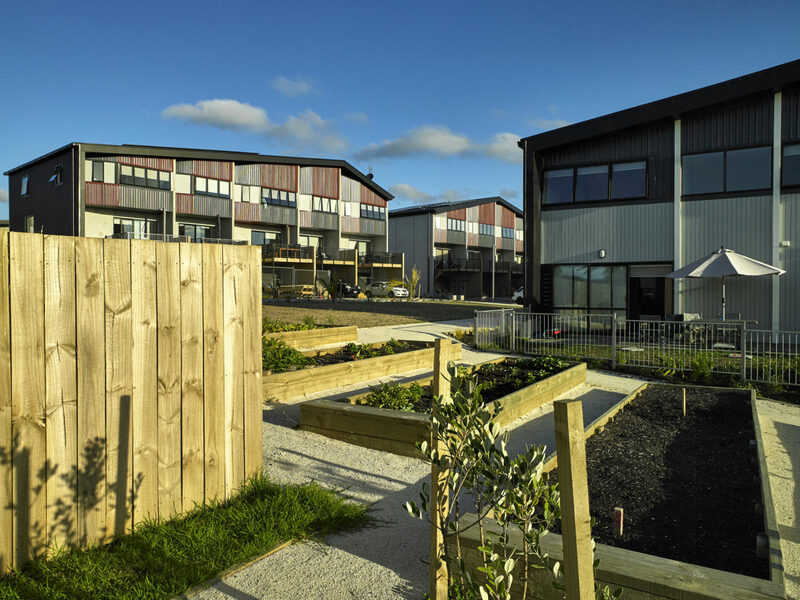 The development occupies land on both sides of Kupe Street with the various houses generally set in blocks of three or four and arranged around two communal outdoor gathering spaces which contain playgrounds, BBQ areas and vegetable gardens. The range of outdoor spaces provides residents options and flexibility around privacy and community. 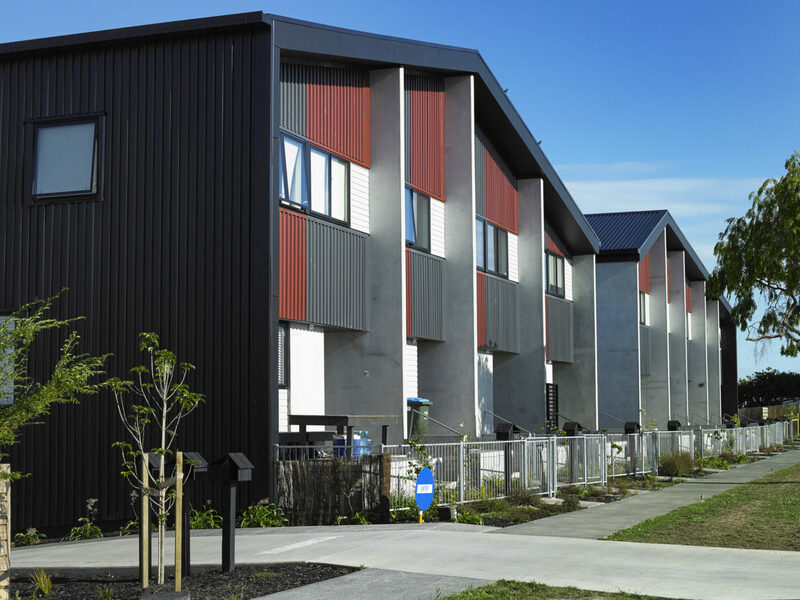 The Kāinga Tuatahi project seeks to represent the identity and community values of its residents. 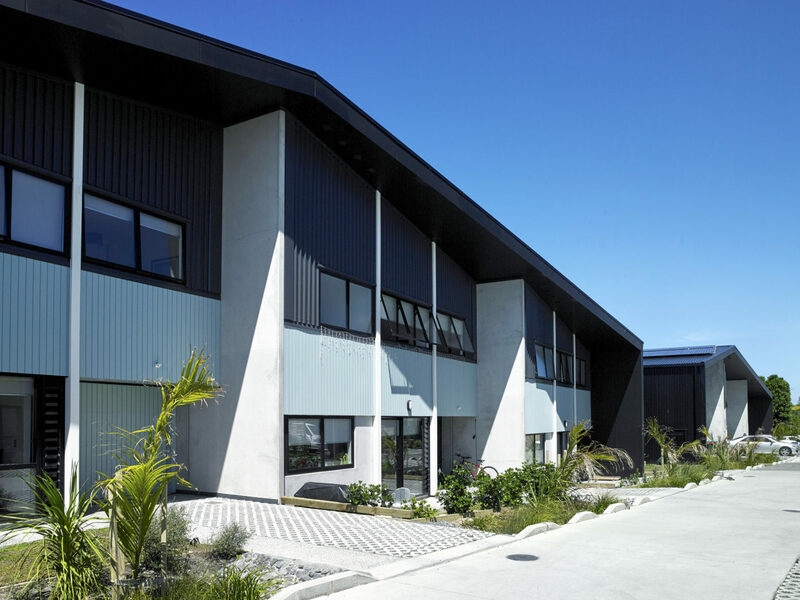 The buildings are bold and contemporary in design but also draw influence from traditional Māori Architecture, Arts & Crafts as well as the landscape of Tamaki Makaurau. Fronting the west side of Kupe Street is a row of attached terrace houses which are unified under a long folded roof plane. In the centre is an opening, a gateway, a welcoming entrance into the village. 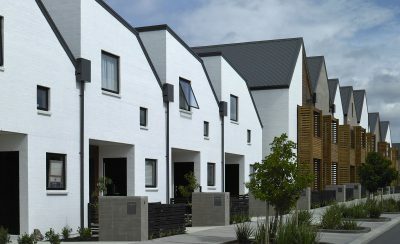 Within the rest of the village each block is enfolded within a distinctive asymmetrical gable roof form with wide eaves, giving the individual buildings a strong formal relationship. The buildings distinctive forms draw inspiration from the landscape, specifically the surrounding volcanoes and ridgelines. 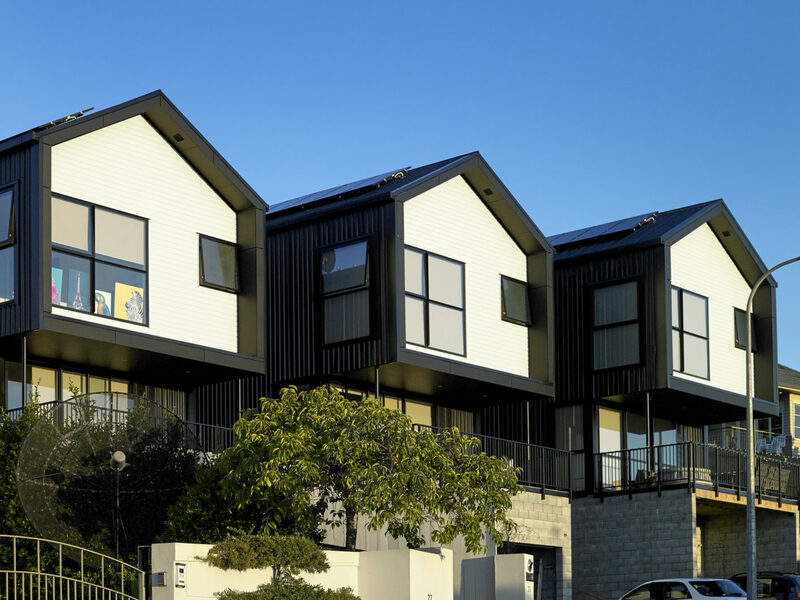 The long gable roof forms used throughout offer a sense of protection and shelter, like a cloak (Kaitaka) draped over the homes, and visually relate to the undulating landscape and ridgelines of the Auckland isthmus.